Home » Windows » How to Secure Local Administrators in Windows? How to Secure Local Administrators in Windows? The Windows operating system has a built-in administrator account. This account v. To prevent this, the built-in administrator account must be secured. 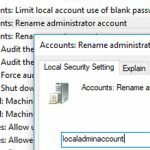 To protect the administrator account from brute-force attacks, you can disable the built-in administrator account, and if you cannot do this, you can rename it. The easiest way to rename the built-in administrator account is use the group policies. 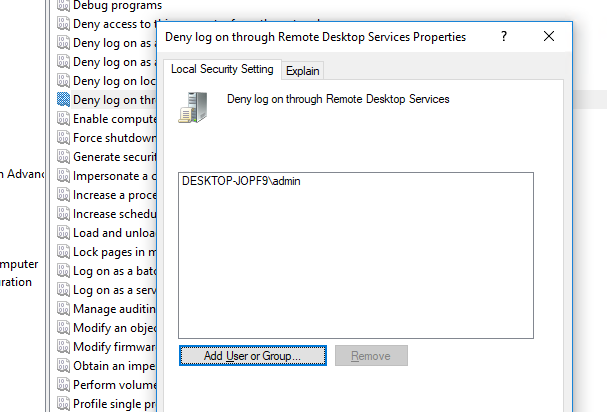 Open the local (gpedit.msc) or domain (gpmc.msc) group policy editor and go to the next section of the console: Computer Configuration > Policies > Windows Settings > Security Settings > Local Policies > Security Options. To rename an account, enable the policy (Define this policy settings) and set a new username. For example, localadminaccount. Renaming will make the password brute-force process harder, since the attacker will have to first to know the account name, and then proceed to brute the password. Renaming an account improves security, but this measure is not effective enough. The administrator account has a well-known security identifier (SID) and there are ways that allow to authenticate with the SID and not the username. Therefore, a more effective way to protect the administrator account is to disable it. To do this, enable the Accounts: Administrator account status policy and change its value to Disabled. Deny log on as a batch job — allows you to prevent the user from registering as a batch job (used by Task Scheduler and some other services). You can enable any of these policies (or all at once) by ticking the ″Define this policy settings″ option and adding the Administrator account to the policy. Microsoft recommends to disable all login methods for the local admin account except local login. If you disable the administrator account rename policy, the account name may not change to the original one.